Dark blue and dark neutrals, such as black, are the colors of the month announced by So Scrappy and The Academic Quilter. You can also choose to use an accent color if you are participating in the RSC18 Squared Away Sampler project and making the Queen Charlotte’s Crown block. I am using dark blue, black, and yellow for my 5 inch Queen Charlotte’s Crown blocks. I had some trouble visualizing this block, so I took some time to play with it. You can see a few quilt designs using this block in this post. You can also visit The Academic Quilter for great tutorials on making all of the blocks. There is a chart of various sizes so you can choose what size blocks that you would like to make. I will be linking up with So Scrappy. Check out the link and see what others are doing with dark blue this month! 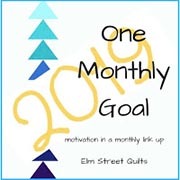 Orange and brown are the colors of the month announced by So Scrappy and The Academic Quilter. I am making three blocks a month, and I’ve chosen the 5 inch size to use for the Squared Away Sampler project. If you would like to participate in the RSC18 Squared Away Sampler project click on the link to read all about it. You can also visit The Academic Quilter for great tutorials on making the blocks. There is a chart of various sizes so you can choose what size blocks that you would like to make. I guess I didn’t hear that brown part, because I am now noticing that I didn’t use it. I am sure glad that orange came to the party! I wasn’t so sure that my stand out red block was going to be able to play, but she has brought her friends! I will be linking up with So Scrappy. Check out the link and see what others have done with orange and brown this month!